The Master disciplines his loyal servant, Torgo. Puppets by Rachel Jackson and Paul Velasquez. 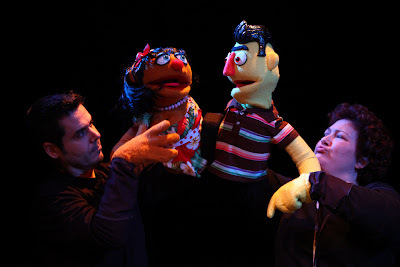 Photo by Bob Koerner. 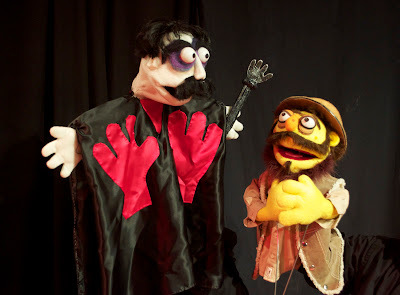 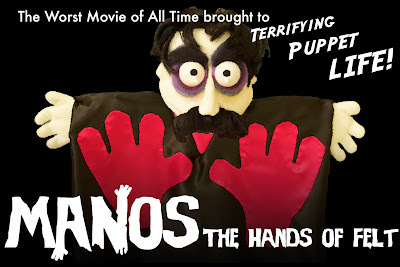 Paul Velasquez, The Make-out Couple Puppet, and Sann Hall performing MANOS at Bumbershoot 2011. Photo by Morgan Keuler.